HSP Notes: Doing Something for YOURSELF: I Am Worth It Northwest conference and Learning to Love Yourself! 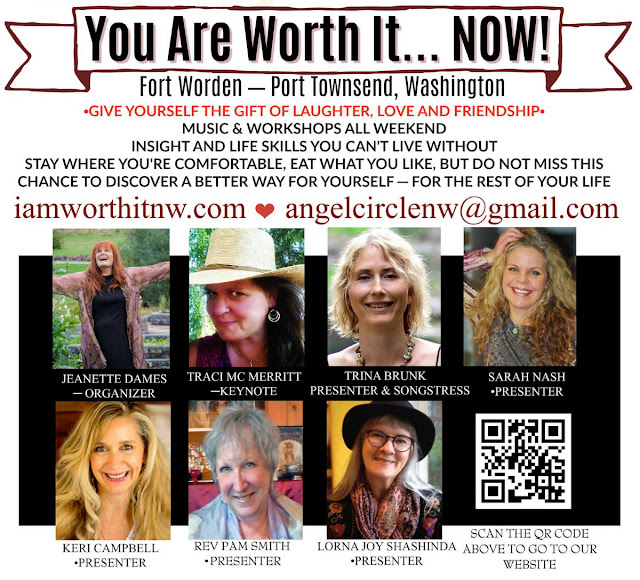 Doing Something for YOURSELF: I Am Worth It Northwest conference and Learning to Love Yourself! Although some of you may already have received an email about this, I wanted to share this with a broader audience, as well... I don't normally post "commercial" messages here but this is highly relevant to HSPs, for a couple of reasons. This 3-day event in Port Townsend, Washington is happening on April 20-22, 2018. Billed as "A Weekend By Women For Women" (Sorry guys!) it's basically a weekend of workshops and connections, centered around learning, healing and transformation. So if this is a conference for women, how am I involved and why am I recommending this? Well, my dear wife Sarah — who is also an HSP — will be teaching a "pre-conference" workshop on Friday, April 20th, entitled "So, they said to Love Yourself..." which covers a lot of ground most of us can use. Of course, the whole weekend is a pretty cool deal, so I encourage you to check the I Am Worth It Northwest web site; there are multiple presenters and you can attend a single workshop, several or all of them, depending on what you feel like!